In this feature, we’ve asked these two main staff members stories related to production, thoughts about the show now that production has finished, and stories that haven’t been told before. It’s a must read for Toradora! fans! 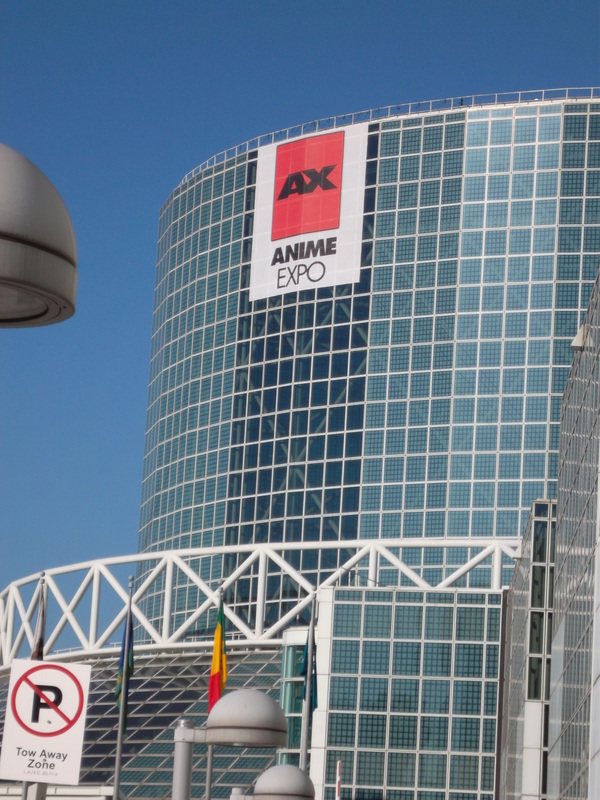 Every year for the past 19 years there has been a convention in southern California in the United States based around anime entitled Anime Expo. This is the 20th such event, but this is the first time that I was able to attend the expo. For those just wanting images, here is my photobucket album for the Expo with titles to describe the images. While I served as the person to stay in line, my good friend (and jokingly sidekick) Skorpigeist went around and took pictures of cosplayers. All credit is given to him as well as the wonderful people who were willing to pose for pictures to show off their hard work. Warning! Huge images when you click on them! 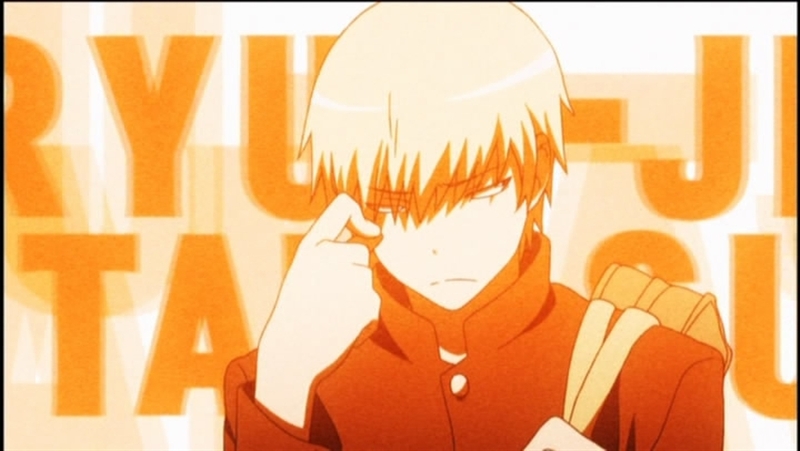 After amazement that I do actually realize that most forms of anime do include the male population, let’s begin talking about a rare species: the memorable male character that people generally like. In Toradora! we are immediately introduced to our male protagonist of the series, Ryuji Takasu, and throughout the series we follow his point of view through one year in high school that changed his life. With a lack of merchandise and promotional artwork compared to the females in that series, it’s easy to overlook him but he’s number 9 on my favorite characters list. Breaking up the “favorites” posts to talk about something I’ve pondered lately. 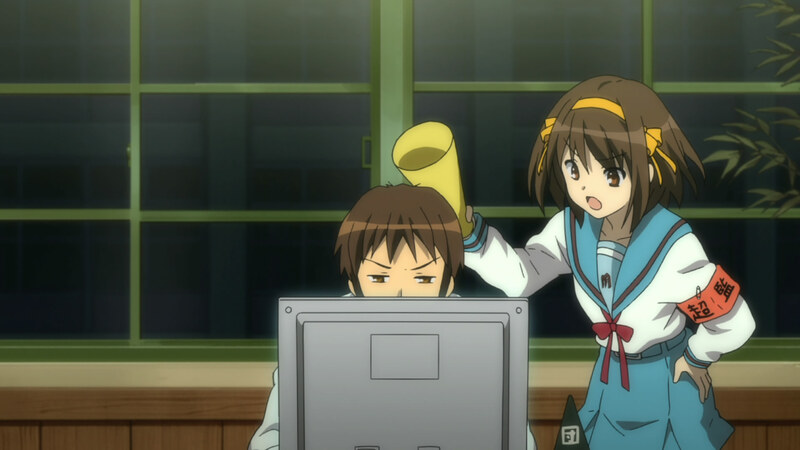 As the anime industry has become more reliant on production companies, more shows have been produced from other alternative works with the goal of either highlighting or heightening the work to a new audience. It’s not limited to anime as dramas and movie on both sides of the Pacific ocean have been using original works to draw in likely audiences. Megax’s Favorite Characters #5: Tenori! Tora! Aisaka! Last year I watched Toradora! for the first time and was about to quit after the first episode. I disliked the main female character both in character as well as design. It was a very negative opening impression for me. Due to the urging of two people that I trust with recommendations, I gave it a second chance and decided to finish it. 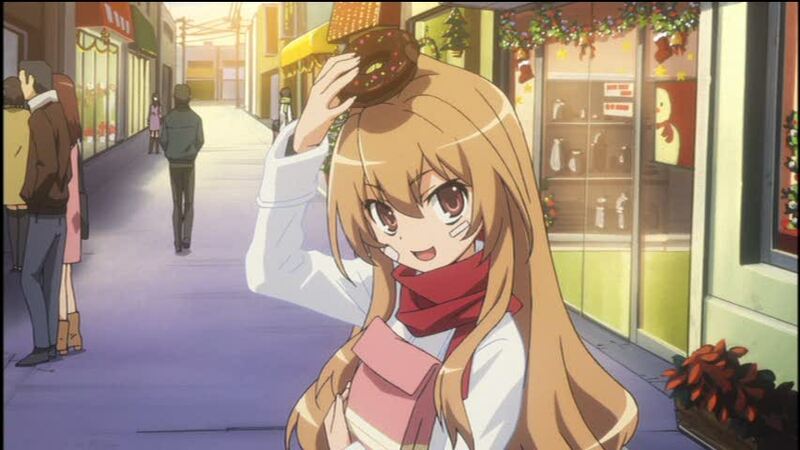 It’s now one of my favorite shows of all time and Taiga Aisaka is number 5 on my favorite characters list! So why is Taiga so aggressive and mean-spirited? During the Culture Festival arc, we see that her childhood has mostly been to be put into upper-class situations by herself while her dad is at work or with his girlfriend/new wife. She’s been seeking attention, like most children do, and one of the only ways she could’ve been given any was to make a scene and force her father to talk to her, even though it wouldn’t be positive. That just led into more and more destructive behaviors until she started living on her own and ended up meeting Ryuji. At the end of the first arc/novel Taiga begins to realize that Ryuji does care about her and wants the best for her, even going to be called her “dog” if so needed. She’s finally getting that attention she’s likely been after and enjoys it to the most. She slowly grows to trust him, as seen when she gives an extremely high compliment when he solves her bathing suit problem for her, and that is what leads into her growing love for him. 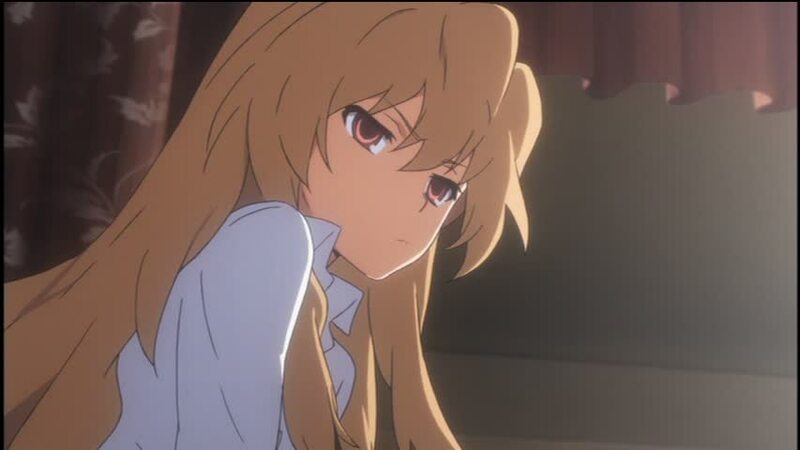 One could argue that Taiga never really changes throughout the series, it’s only our perception of her that changes. We initially get a negative impression, but that’s because she’s incredibly embaressed and wants to save face like anyone would. Throughout the series she gradually warms to us (through Ryuuji’s perception) and we get to see more into her softer side, but I would argue that she’s always felt this way but didn’t want to publicly show it as she might be perceived as “weak”. Since she’s found someone who supports her day and night, she likely doesn’t feel “weak” anymore. 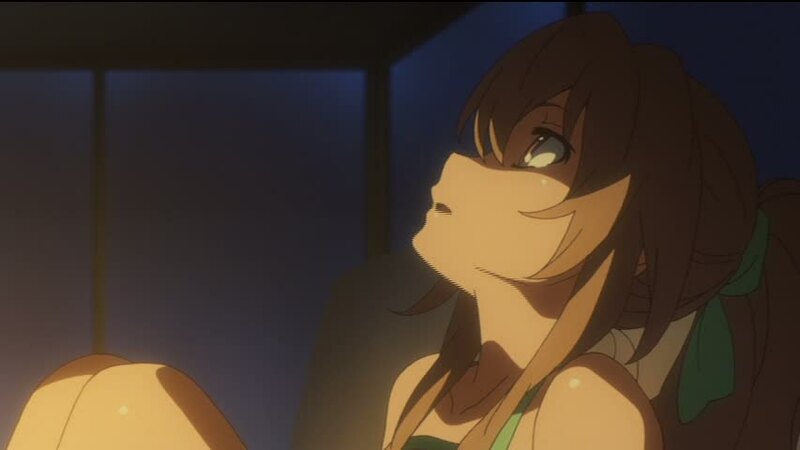 One of my favorite Taiga moments has to be her decision to return to her mother. After seeing the importance of making up with family from Yasuko, she realizes that running away is taking the weak way out to stay with Ryuuji instead of confronting her mother and living with her. While it’s possibly the more difficult option, she’s showing her trust that Ryuuji will still love her regardless. So why do I like Taiga? 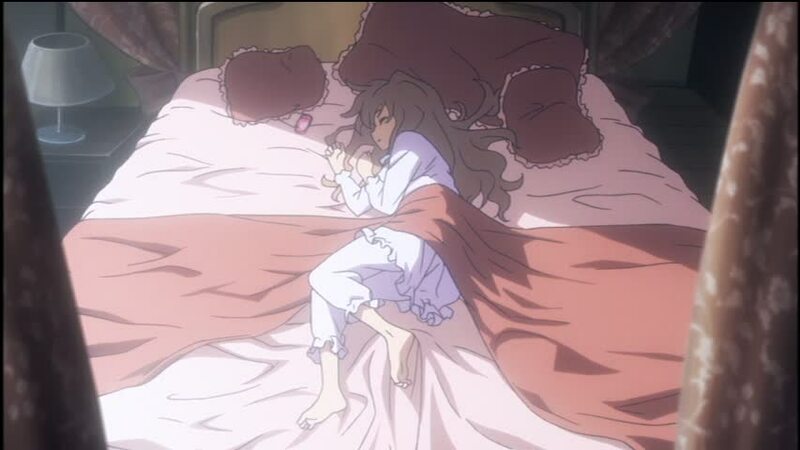 She becomes the most well-rounded character in Toradora! by a great margin. I love that Takemiya took a person who lashed out at the world (except for Minori) and had her reveal the gentler side of her inside. I love that she remains a strong female even when she’s in a highly emotional state near the end of the series. Taiga is selfish, brooding, clingy, and yet caring and soft. She’s still a child at heart, so the next few years where she’ll have to grow up and get used to being in the real world will be important to her. I imagine she’ll experience life like Tomoya from Clannad for a few years after graduation, only she might end up having a child instead. To conclude, Taiga is a character that I originally thought was a one-dimensional tsundere who turned out to be much more than what meets the eye. Her actions throughout the series resemble that of someone growing from a child into a young adult realistically. She’s a great example of how a character can grow from one trope into a fleshed out person with strengths and flaws and yet be loveable. I can’t wait to see what the OVA has in store for us. 次回！A character no one’s shocked to see on a favorite characters list! 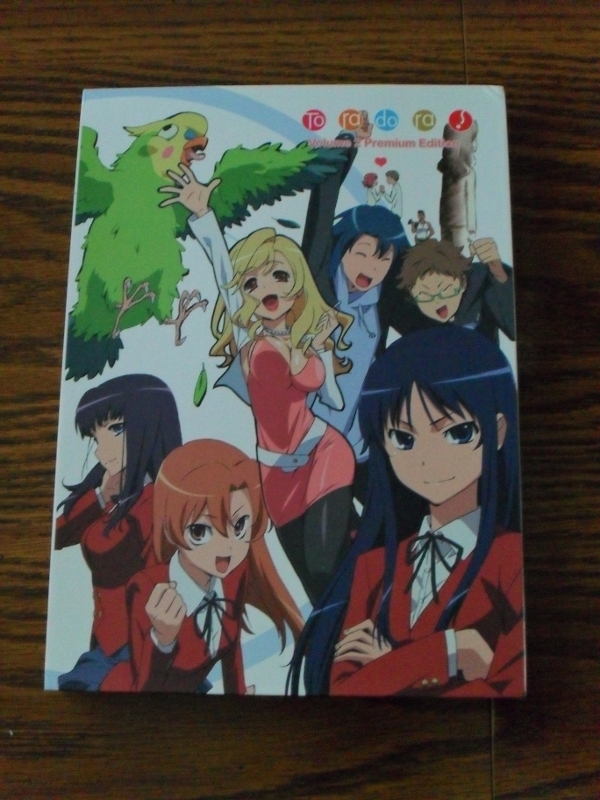 This week NIS America released the second and final volume of the anime version of Toradora! for the North American audience. I just got this set yesterday and the show drew me to marathon all 12 episodes and all of the bonus features on the set in about 5 hours. It’s not often that a show I’ve seen before will induce me to finish it in one sitting (again! ), but this show is something special.